Christian Jacomine, PA-C graduated from LSU Health Sciences Center in Shreveport, LA with a Master of Physician Assistant Studies in 2012. Upon completion of the PA program, Christian was inducted into the Pi Alpha National Honor Society in recognition of significant academic achievement, leadership, research, service, and a high standard of character and conduct. Prior to Physician Assistant school, he graduated from Louisiana State University in Baton Rouge, LA in 2002 with a Bachelor of Science Degree in Biological Science. Christian is a member of the American Academy of Physician Assistants and the Louisiana Academy of Physician Assistants. He is licensed by the Louisiana State Board of Medical Examiners and certified by the National Commission on Certification of Physician Assistants. Christian has a background in emergency medicine working as both an EMT-Basic and an EMT-Paramedic for 2 years. 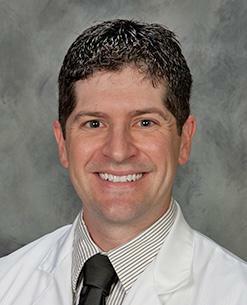 He has been at the Bone and Joint Clinic since September of 2012 specializing in spinal conditions and spine surgery. He works as a Physician Assistant with the Spine Center in clinical and surgical roles under the supervision of Dr. Kevin P. McCarthy and Dr. C. Chambliss Harrod.